Stephen Burt is Professor of English at Harvard. His latest book of poetry is Belmont (Graywolf, 2013); earlier books of poetry and criticism include Close Calls with Nonsense: Reading New Poetry, Parallel Play, and Randall Jarrell and His Age. We go Behind the Sestina with Burt to discuss his poem, “Six Kinds of Noodles” featured in The Incredible Sestina Anthology. When did you first discover the sestina? How many have you written? I have finished and published two, both in my book Parallel Play (2006); I’ve tried to write several more, though none satisfied me (there may be one in the works). I don’t remember when I read one first, but I know I was trying to write them in college. I’ve already written about the use of the sestina in contemporary poetry; that turned into a long essay in the academic journal Modern Philology. I would love if you could take us through writing this sestina—the choice of end-words, the inspiration for it, anything you remember. It began with actual noodles, after they revamped the Macalester College cafeteria: I taught at Macalester from 2000 to 2007, and in about 2003 or 2004 they redid the cafeteria, and when it reopened it was generally better but also had new special features, including what looked to me like a noodle bar, with at least six kinds. And I said “Hey, six kinds of something = sestina potential!” and set to work. I had also been thinking about Ashbery, about how the slipperiness of his language generally, between reference and non-reference, was something the sestina form seemed apt to do (I dislike sestinas that are completely nonsensical or nonreferential—too easy—but I like Ashbery’s own sestinas, especially the one with Popeye, which has been extraordinarily influential). I was also thinking about the line of poems and essays about the influence of Ashbery—I think I had recently looked again at David Kellogg‘s. How have you been doing, as you write in the sestina, “trying to keep up with John Ashbery” and his prodigious output of work? It’s hard, isn’t it? I haven’t caught up with Quick Question. I love how you include a mini-reading list of Ashbery-themed poems. I just looked again at Jeffrey Skinner’s, which appeared in Poetry in 1997, and it’s an opus of meta-Ashbery goodness. And David Kellogg’s seems to be a section of a faux academic treatise. What is it about John Ashbery that elicits these reactions? And then there are the sestina’s noodles. 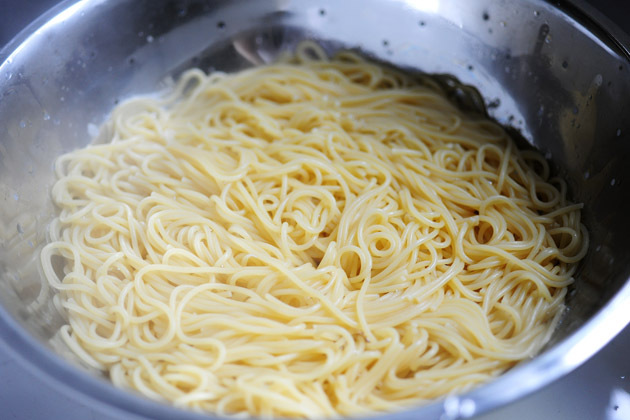 I don’t think I’ve ever asked anyone before but, are you a noodle aficionado? Isn’t everyone (or everyone without a gluten problem)? The first sestinas were always dedicated to someone—to whom would you dedicate your sestina? It’s tempting to say that it’s for Macalester College. No rebuilt cafeteria = no sestina. This entry was posted in Behind the Sestina and tagged Behind the Sestina, david kellogg, Jeffrey Skinner, John Ashbery, macalester college, noodles, Parallel Play, Randall Jarrell, Sestina, sestina. 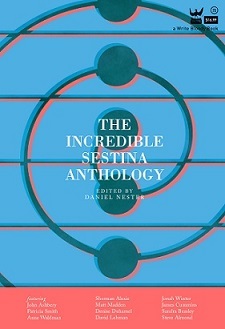 poetry, six kinds of noodles, Stephen Burt, The Incredible Sestina Anthology. Bookmark the permalink.